Fellow Svengoolie SvenPals everywhere will be excited about his upcoming big broadcast of a classic Universal Studios monster feature with numerous silver screen legends. Theatrical trailer for Universal Studios’ “House of Frankenstein” (1944), altered for Realart Pictures’ re-release. The legendary Berwyn/Chicago-based horror/monster film host will present “House of Frankenstein” (1944), this Sat., Aug. 18 at 8 p.m. Eastern/7 p.m. Central on Me-TV. 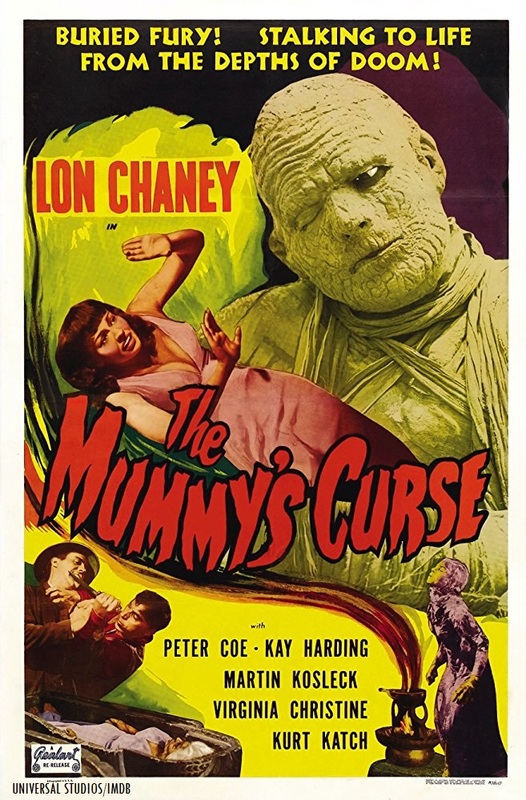 The 1944 Universal monster feature was directed by veteran film director Erle C. Kenton. Before going into film directing, Kenton was part of Mack Sennett’s original silent “Keystone Kops” comedy troupe, according to IMDB. Kenton also directed the Paramount Pictures screen adaptation of H.G. Wells’ “Island of Lost Souls” (1932). His other Universal monster features include “Ghost of Frankenstein” (1942) and “House of Dracula” (1945). Kenton also worked on two Universal comedies with Bud Abbott and Lou Costello, “Who Done It?” (1942) and “Pardon My Sarong” (1942). This will mark Sven’s fifth big broadcast of “House of Frankenstein” (1944) on Me-TV. He previously showcased Kenton’s 1944 Universal monster entry back in Nov. 2013, April 2014, Dec. 2015 and Jan. 2017.
Who was in “House of Frankenstein” (1944)? The players who appeared in Kenton’s Universal monster entry were Boris Karloff (as Dr. Gustav Niemann), Lon Chaney Jr. (as Larry Talbot/the “Wolf Man”), Glenn Strange (as Frankenstein’s monster), John Carradine (as Dracula, a.k.a. Baron Latos), J. Carrol Naish (as Daniel), Lionel Atwill (as Inspector Arnz), George Zucco (as Prof. Bruno Lampini), Anne Gwynne (as Rita Hussman), Peter Coe (as Carl Hussman), Sig Ruman (as Hussman), Elena Verdugo (as Ilonka), Philip Van Zandt (as Inspector Muller) and Frank Reicher (as Ullman).